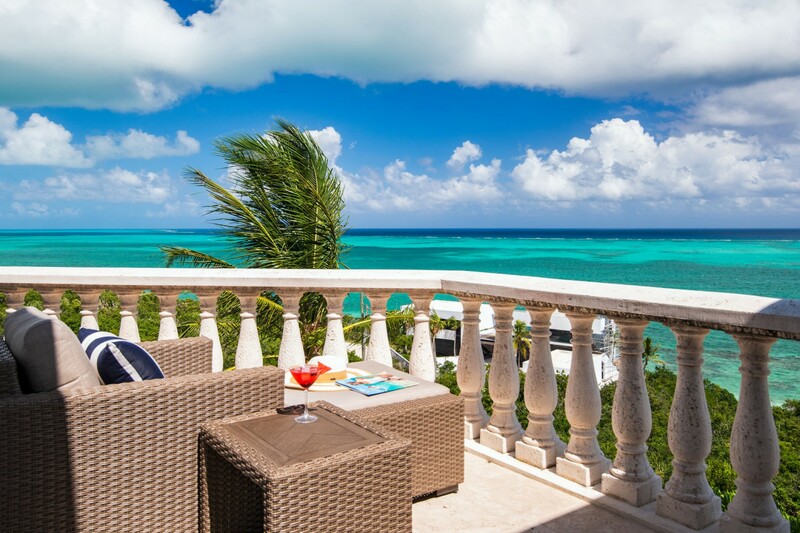 Perched overlooking the azure Caribbean Sea in Turks and Caicos, you will discover the 3-bedroom Blue Mountain Villa. 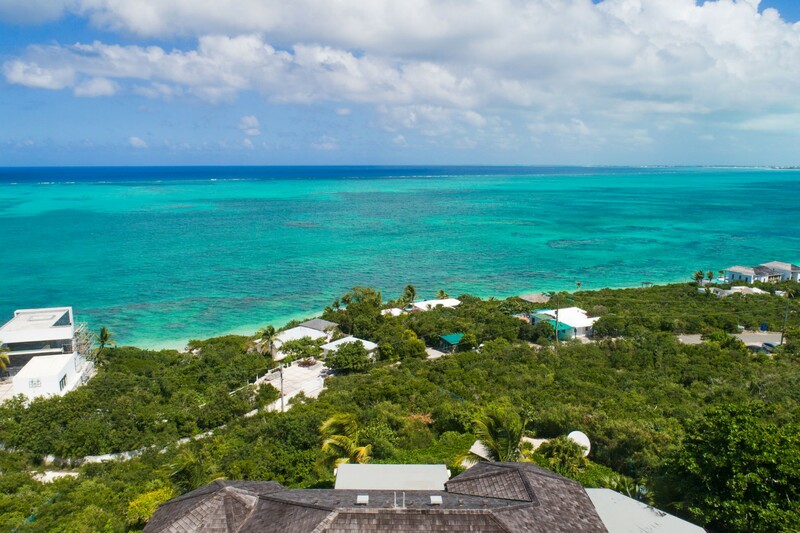 Ideally located on one of the highest points in Providenciales, this secluded and lavish property offers you sweeping, 180-degree views across the north shore and reef. Laced in modern comforts, Blue Mountain Villa accommodates up to six of your loved ones, providing a plethora of amenities and lavish features including the private terrace, swimming pool, and contemporary interiors. 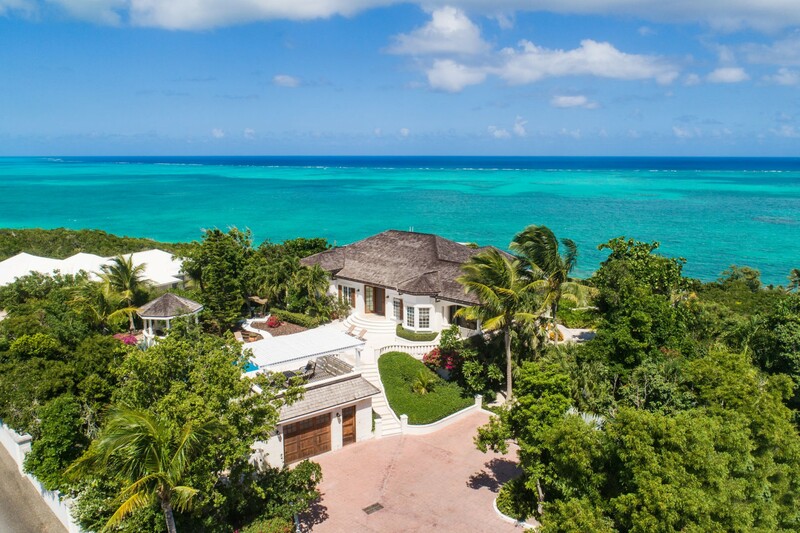 The villa is a short distance from many of the incredible beaches, making it the perfect place for an island getaway. 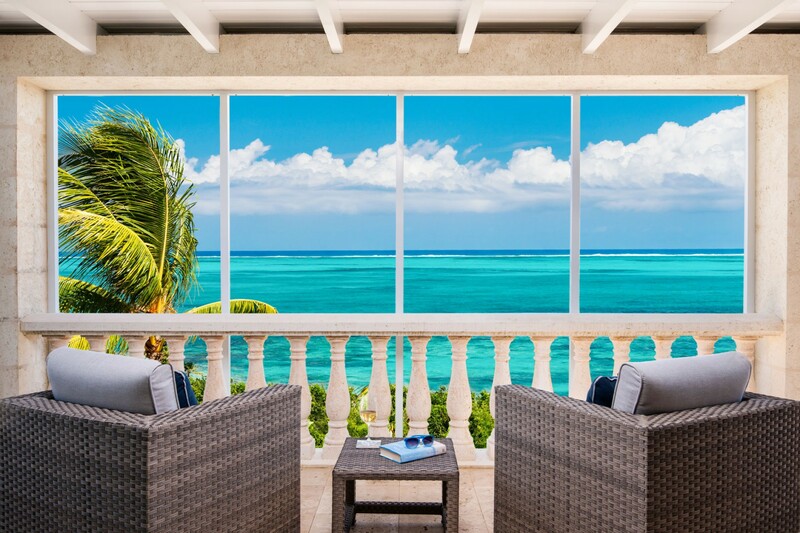 Wake up each morning to the breathtaking views of the Caribbean and the turquoise waters that surround you. A short 5-minute drive will lead you to the tranquil white sands of Babalua beach This sugar-fine shoreline is often referred to as Blue Mountain Beach. With mild crystal-clear waters and mild breezes, spending a day on the beach is perfect. Relax under a patch of shade as the waves roll in or walk along the beach letting the water lap onto your toes. You could try out some fun watersport activities on other nearby beaches, such as the world-famous Grace Bay Beach. Towards the end of this 3-mile beach, you will find Smith Reefs, one of the best snorkeling locations on the island. Delve into the waters and experience the tropical creature and swim beneath the turquoise waters. 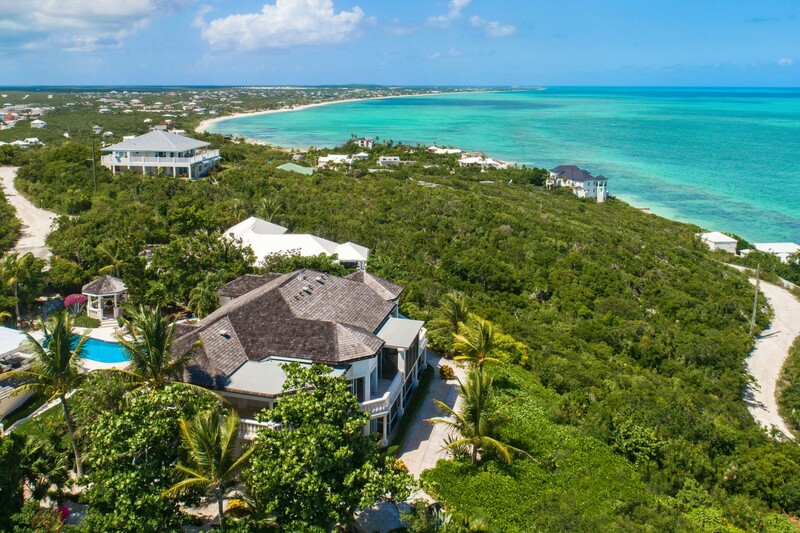 Making your way back to the seclusion of your private villa you can enjoy this island lifestyle on the large terrace. The villa is enclosed with tropical vegetation that makes the area burst with colors and sweet-smelling fragrances. The property includes private parking and is secluded with electronic gates. 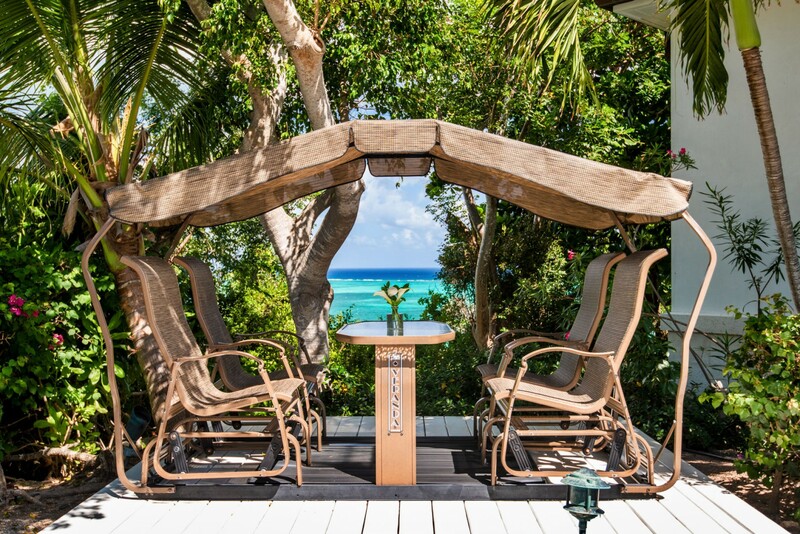 Unwind in the serenity of your private villa that blends out onto the terrace. Plunge into the silk-like waters of the private swimming pool in total seclusion. Watch the clouds float through along the open blue sky as you lounge out on the sunbeds. 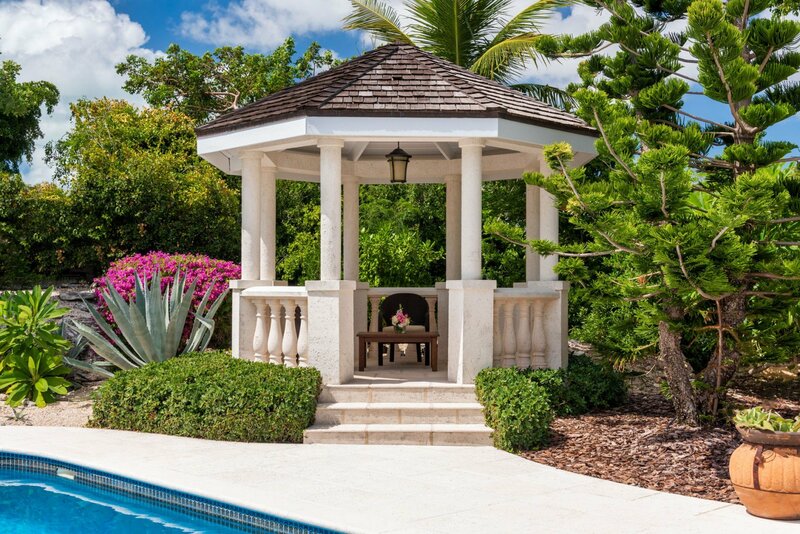 As the evening sun begins to set, dine alfresco under the private gazebo, surrounded by your loved ones. You can enjoy some drinks on the covered outdoor seating area as the sky lights up with shimmering stars. The interiors of the villa are laced with modern designs and luxurious furnishings. 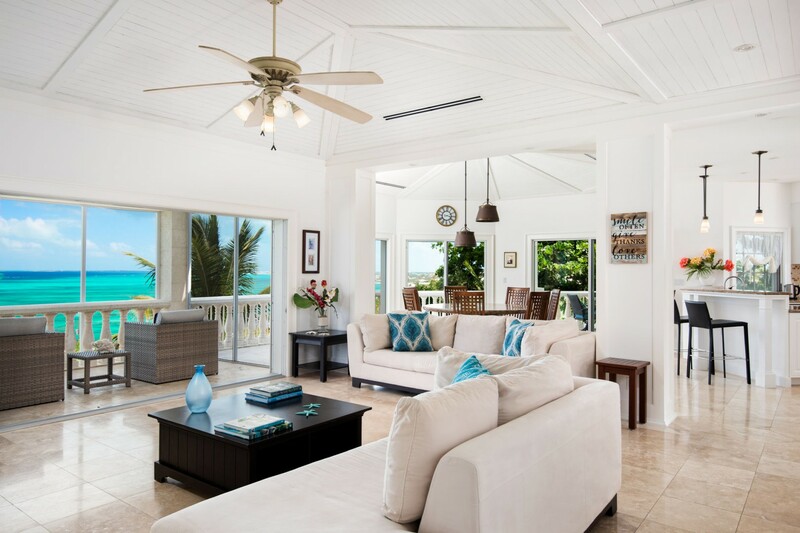 The contemporary rooms are spacious with high-vaulted ceilings, while always holding the turquoise sea views at center stage. The main living area is flooded with light and warmth, creating a comfortable atmosphere to lounge in. This main living area blends the living, dining, and kitchen into one large open concept room, perfect for all your guests to relax in. Towards the back of the room is a well-appointed chef’s kitchen that comes fully equipped and ready to use. 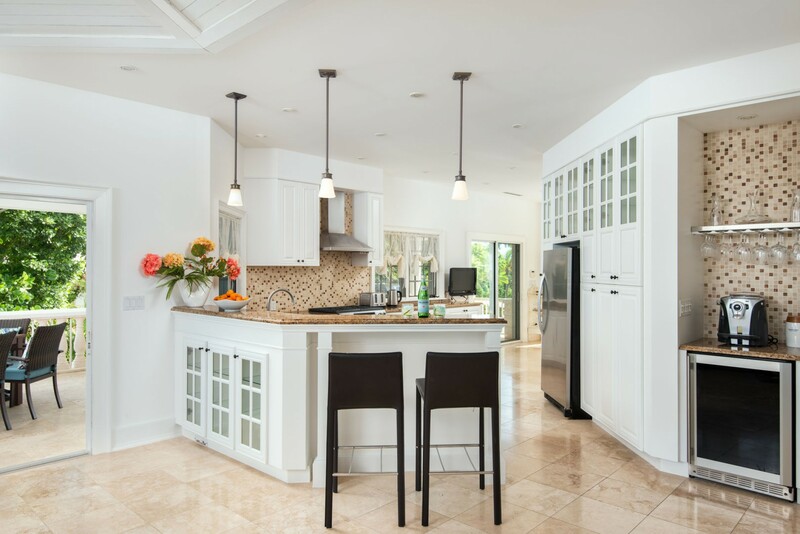 The kitchen indulges in marbleized countertops, white cabinetry and a breakfast bar that seats two guests. Overlooking the sea views is the living area, dotted with plush sofas and ceiling fans to ensure a cool, refreshing interior space. The living area enjoys access to the oceanfront balcony and includes outdoor seating. Perch here in the early mornings with a fresh cup of coffee as you soak in the endless blue horizon. Towards the right of the room is the interior dining table. This marbleized table elegantly seats six guests. Blue Mountain Villa has a total of three luxurious bedrooms. The master suite is located along the second floor and overlooks the incredible ocean Views. 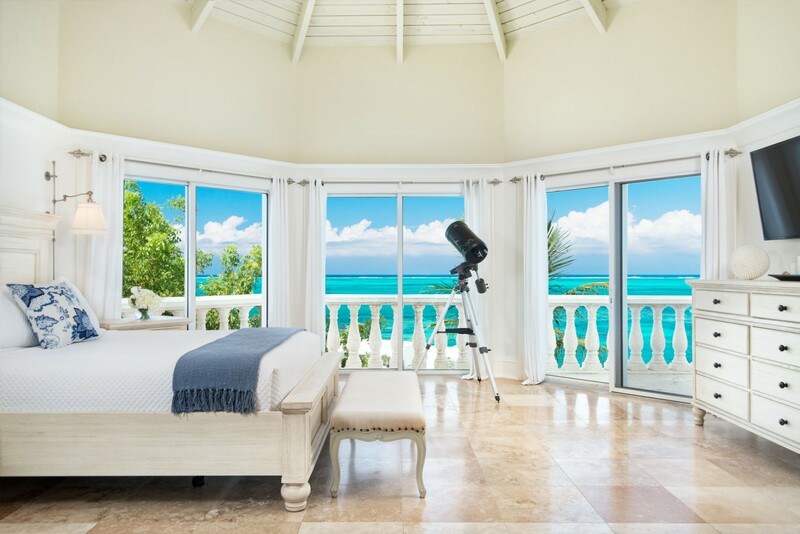 Enjoy some stargazing with the large telescope or simply open the windows to allow the distant sounds of the ocean to float through your room. The master suite includes a private en-suite bathroom and walk-in closet. Opposite the queen-sized bed is a large plasma screen TV mounted on the wall. The first guest suite overlooks the pool and terrace towards the back of the villa. 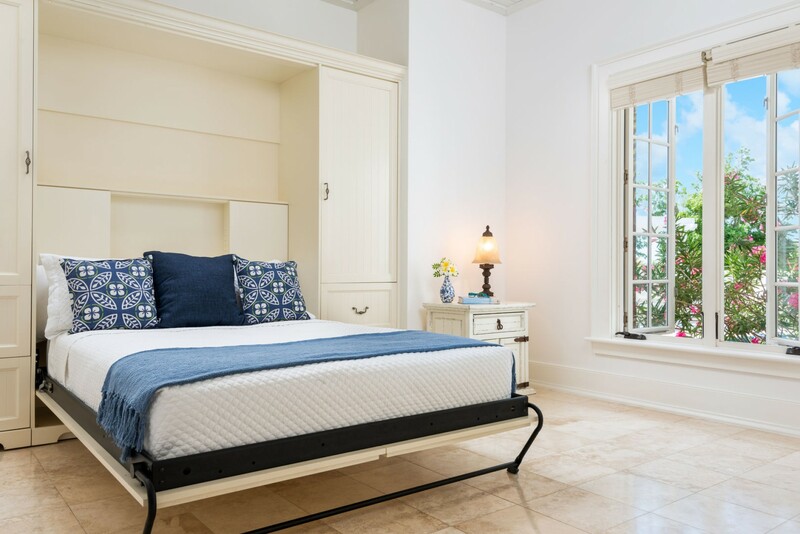 The bedroom is fitted with a queen-sized bed and includes closet space. The second guest bedroom is based on the ground floor and overlooks the incredible tropical gardens that surround your private villa. 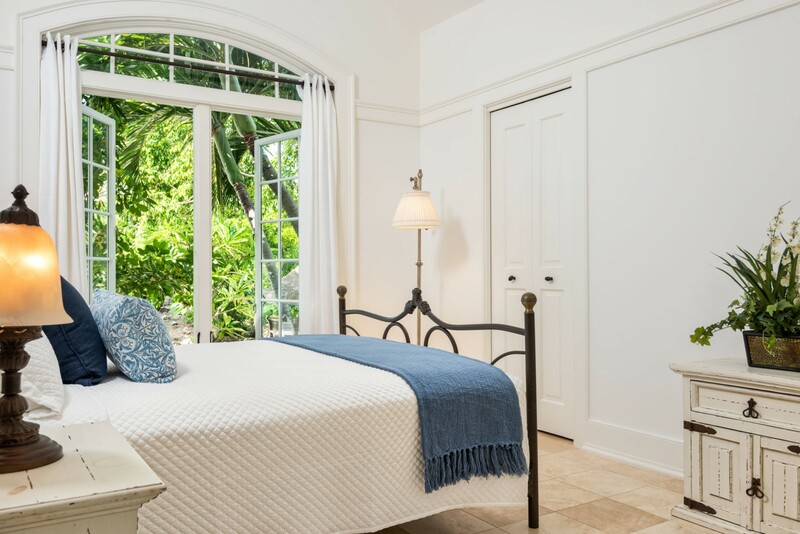 With access out into the vivacious greenery, this queen-sized bedroom is a tropical haven to relax in. Sit back and relax in the serenity of Blue Mountain Villa. 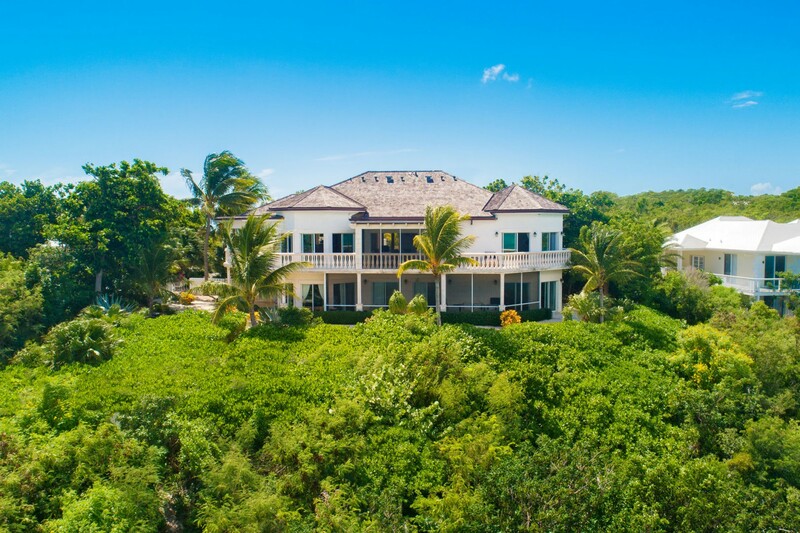 Fitted with all of the amenities and luxurious you will need, this villa provides you and your loved ones with a secluded, island style vacation overlooking the Caribbean Sea. *Note: Below the villa on the lower level are two apartments, occupied by Island Professionals. A gate separates access to this section of the property and one of these residents has a pet dog, which is confined to this separate space. 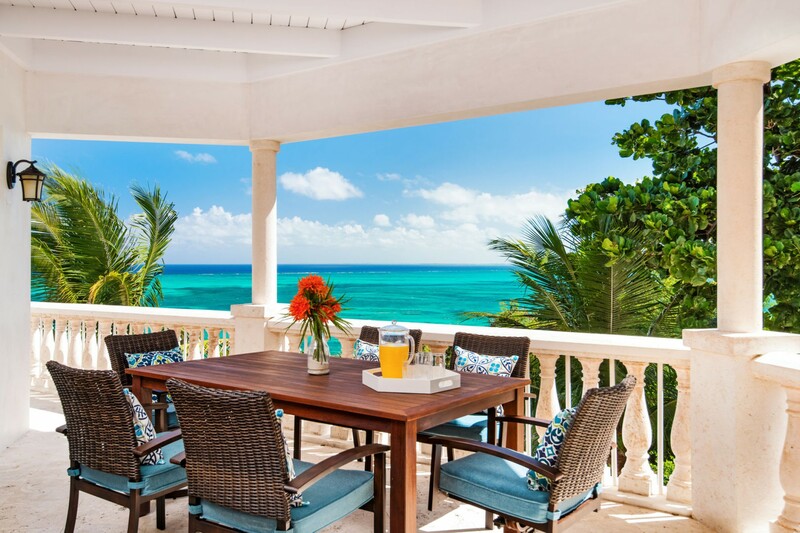 Blue Mountain Villa can accommodate up to six guests across three luxurious bedrooms. Each bedroom indulges in Queen-sized beds. There are 2.5 Bathrooms throughout the villa. Bedroom 1 Master: Luxurious Queen-Sized Bed, Private en-suite Bathroom, Large walk in closet, Plasma Screen TV, Panoramic sea views. Bedroom 2: Luxurious Queen-sized Bed, Views over the Private Terrace and pool. 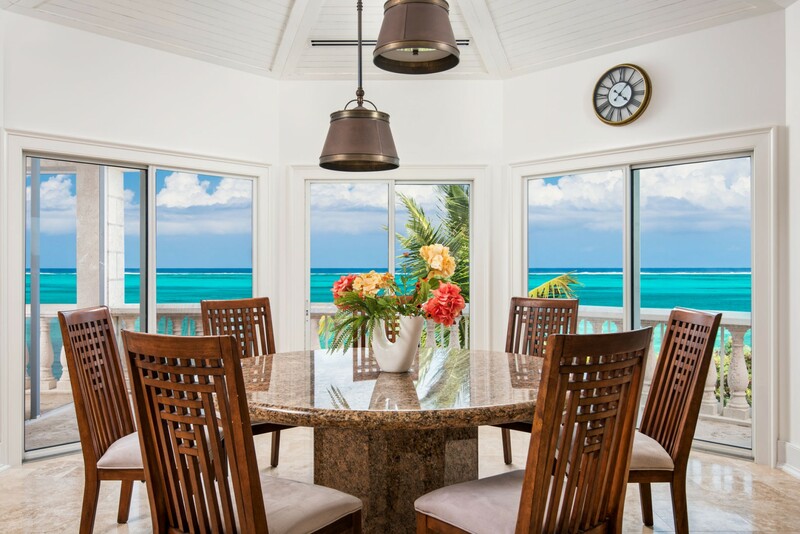 Blue Mountain Villa is ideally located on one of the highest points in Providenciales, Turks and Caicos, that overlooks the 180-degree views across the north shore and reef. 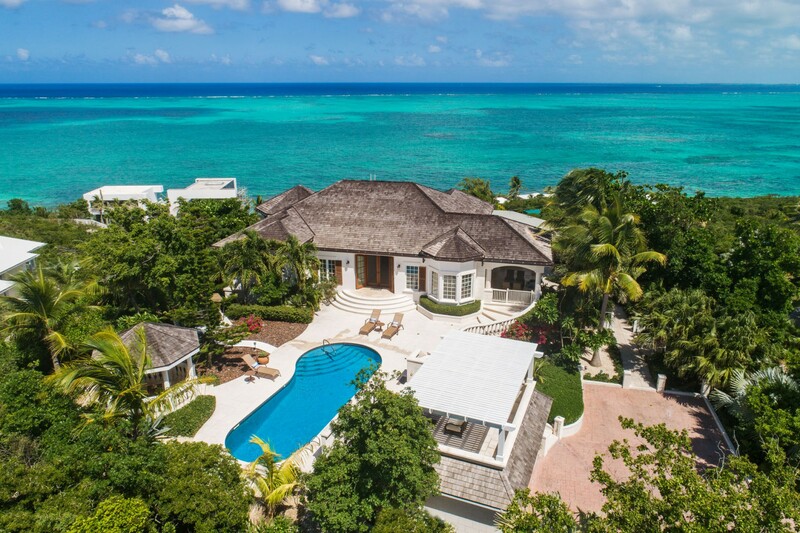 The villa is a short distance from many of the incredible beaches, making it the perfect place for an island getaway. 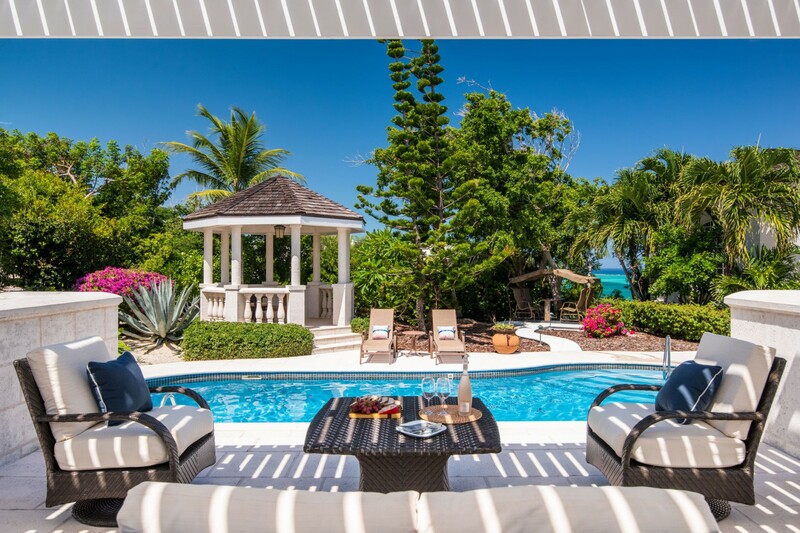 The villa is equipped with portable beach chairs and umbrellas, perfect for spending a day on the beach. The nearest beach is Babalua beach and is under a five-minute drive from your doorstep. This lavish white sand beach is part of the naturally preserved area of Princess Alexandra National park. The shoreline includes over 3000 feet of white sand bordered by stunning north shore sea cliffs. This beach has only one public access, which is found by following Cherokee Road from Leeward Highway. A short five-minute drive will lead you to some delicious restaurants where you can enjoy some island style cuisine. The nearby bars and shops are also within a short five-minute drive. 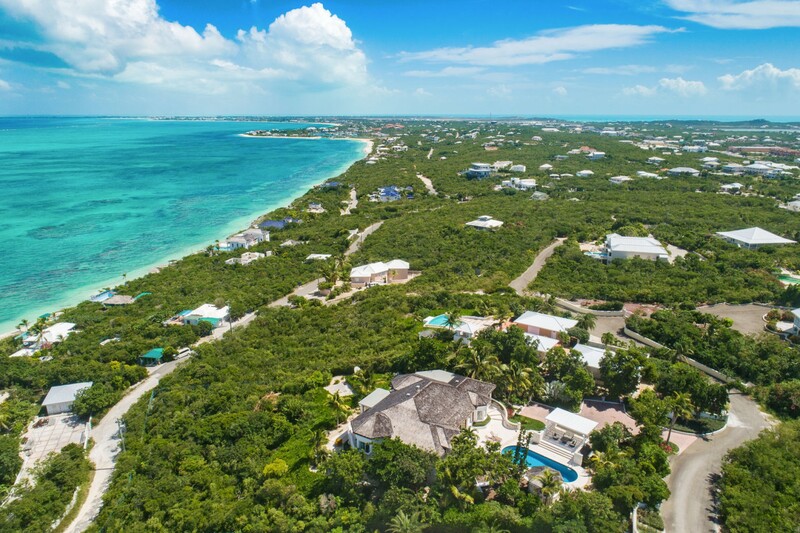 Ten minutes from the villa is the heart of Grace Bay where you will find the luxurious 3 Mile beach, and many of the fun activities including snorkeling, kayaking or even for a relaxed visit to the Provo Golf course.